Among various types of 2D materials, black phosphorus (BP) is a shining star due to its distinctive properties such as the layer-dependent band gap, active surface electronic states, good biocompatibility and excellent photothermal properties. However, because of the lone-pair electrons, BP is not stable in oxygen–water ambient condition. Besides, phosphorus is present in cells, tissues and bones, which makes it difficult to trace the BP-based nanostructures by conventional imaging techniques and conduct detailed biomedical studies in vivo. 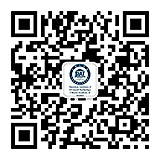 In response to this challenge, a research team led by Prof. YU Xuefeng at the Shenzhen Institutes of Advanced Technology (SIAT) of the Chinese Academy of Sciences has developed a series methods on modulating the surface properties and to improve the stability performance of BP, such as organic coating, chemical coordination, covalent modification, ions doping and defects occupation. 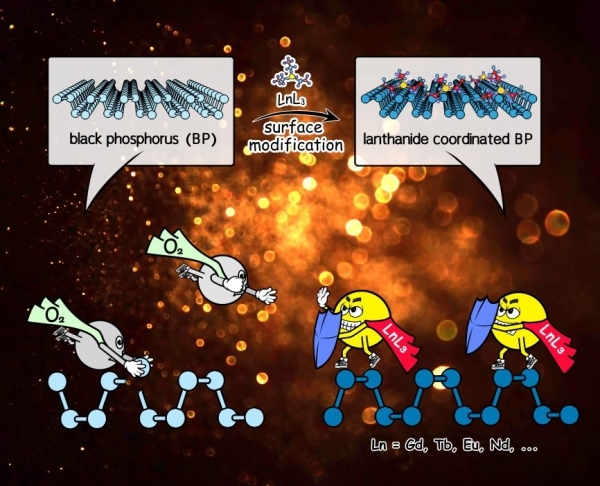 This time, the work named “Lanthanide-Coordinated Black Phosphorus” was published in Small, Prof. YU Xuefeng and his co-workers developed a facile and efficient surface lanthanide-coordination strategy based on lanthanide (Ln) sulfonate complexes to passivate and functionalize different BP-based nanostructures. By means of Ln–P coordination, the lone-pair electrons of phosphorus are occupied, thus preventing oxidation of BP, and the LnL3@BP exhibits excellent stability in both air and water. After LnL3 coordination, the original photothermal ability of BP nanostructures is retained. Moreover, the Gd coordinated BP performance high R1 relativities in magnetic resonance (MR) imaging, and other Ln (Tb, Eu, and Nd) coordinated BP exhibit fluorescence under corresponding excitation.